For all of you who ocassionally frequent SpurrierMusic, you may have noticed an extreme lack of updates on the blog page. 1) For most minute updates, I’ve jumped on the Twitter bandwagon, so if you feel a need to keep up to date to the minute, feel free to follow me: @basser26. I have some different ideas for interesting musical blog posts, and if I ever find myself with a plethora of extra time, I’ll certainly make an effort to post them. 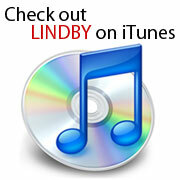 For now, though, I hope to see all of you on Twitter and over at LindbyMusic! I just wanted to apologize for the gigantic lack of updates. Life got a little crazy and will continue to do so through the end of April. After that, expect a post once a week on Wednesdays. I look forward to seeing all of you then.